The Chicago Blackhawks entered training camp on Saturday to another sold out fan festival. Familiar faces returned in Brandon Saad and Patrick Sharp. New faces entered in Connor Murphy, Anton Forsberg, and Tommy Wingels. And a buzz has stirred around highly touted prospect, Alex Debrincat. Along with them, come questions that they will all have to help answer as the regular season is less than three weeks away. 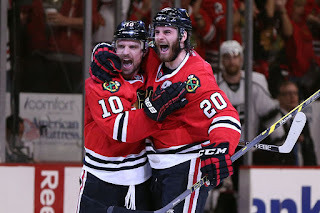 Last year, the Blackhawks finished 29th in the league in face-off victory percentage at 47.5%. Over one-third of those faceoffs were taken by Jonathan Toews (54.9%). Their second best face-off man, Marcus Kruger (49.1%), now resides with the Carolina Hurricanes. The remaining centers, Artem Anisimov (44.1%), Tanner Kero (44.4%), and Nick Schmaltz (30.9%), will need to bring those numbers up. Schmaltz has been working on faceoffs in the off-season. 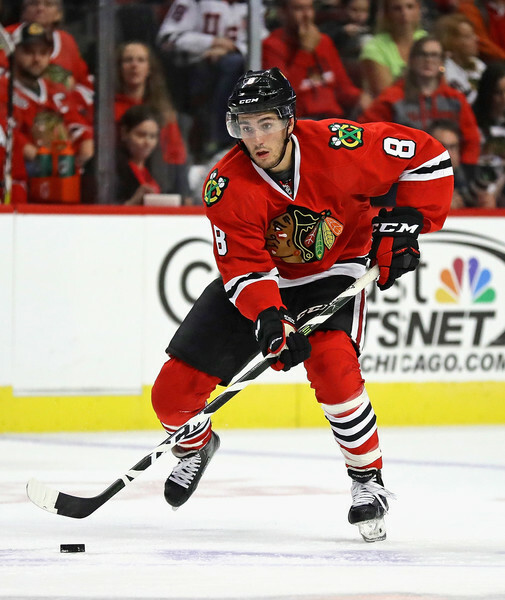 Coach Joel Quenneville has noticed a difference in his strength for gathering loose pucks. There has been mention that Schmaltz could become the second line center, and if that is the case, he will have a lot on his shoulders. Kero, like Schmaltz, will be asked to bring a lot this year as they both enter their second full NHL season. With the absence of Kruger, Kero has been tapped to fill that role. Why are faceoffs so important? Two reasons: One - If you have the puck, the other team does not score. Two - Pucks lost in faceoffs in your own zone can find their way in the back of your net pretty quickly. Defensively last year, the Blackhawks gave up a lot of scoring chances which, thankfully, Corey Crawford and Scott Darling were there to stop the majority of them. They lost three of their top five defensemen last year in Niklas Hjlamarsson, Trevor vanRiemsdyk, and Brian Campbell. 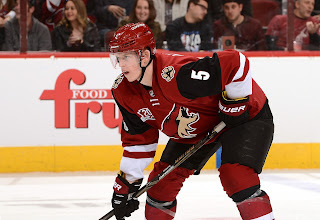 Connor Murphy will be asked to do a lot this upcoming year, as he was the key piece in Hjalmarsson going to the Arizona Coyotes. He's only 24, and has over 250 NHL games to his name. Being paired with either Duncan Keith or Brent Seabrook, can only help. As far as the last pairing (defensemen 5 & 6), Michal Kempny will have to step up, after playing only 50 games last year. The other spot, we will have to wait and see. On the back end, Anton Forsberg, who came back with Saad in the Artemi Panarin trade, will be a solid back up for Crawford between the pipes. The other concern is the scoring loss of Panarin and Marian Hossa. Also what will happen to Patrick Kane's productivity? For as concerned as people are that Panarin left, Saad scored just six goals less than Panarin the last two seasons. He is also a year younger than Panarin, and has more NHL experience. As for the loss of Hossa, Sharp, 35, will help, but he is coming off hip surgery and a concussion from last year. He will most likely find himself opposite Kane, which would not be a bad thing since chemistry already exists between the two. Enter, the wild card, Alex Debrincat. 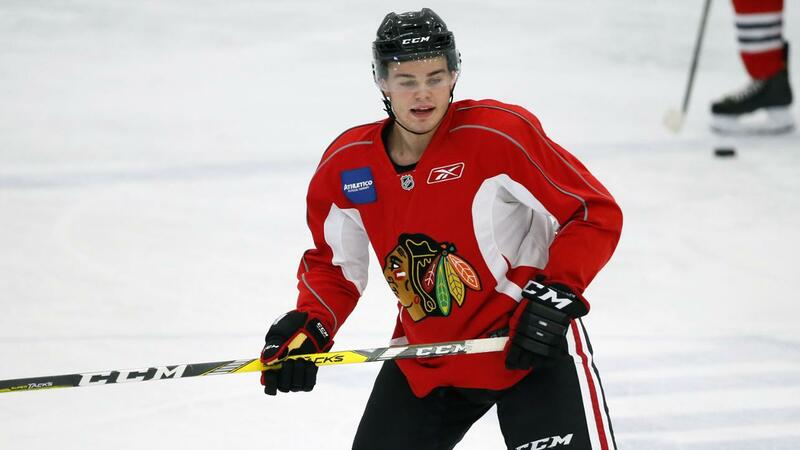 Debrincat, 19, shined in the prospect camp tournament last week in which he scored 5 goals in the 4 game tournament, including the game-winner. At 5'7", his size is in question and part of the reason people have their doubts about him. With the Erie Otters in the OHL, he scored 332 points (167G 165A) in just 3 years. If the speed of the game is not too fast for him, he could very well make the roster this year. In time, he could possibly find himself opposite Kane on the second scoring line. As for Kane, he's been able to score with anyone. He wont suffer, regardless who his linemate will be. Preseason will answer who will have the opportunity to help fill these concerns, the regular season will tell us if they can. 18 days till opening night. 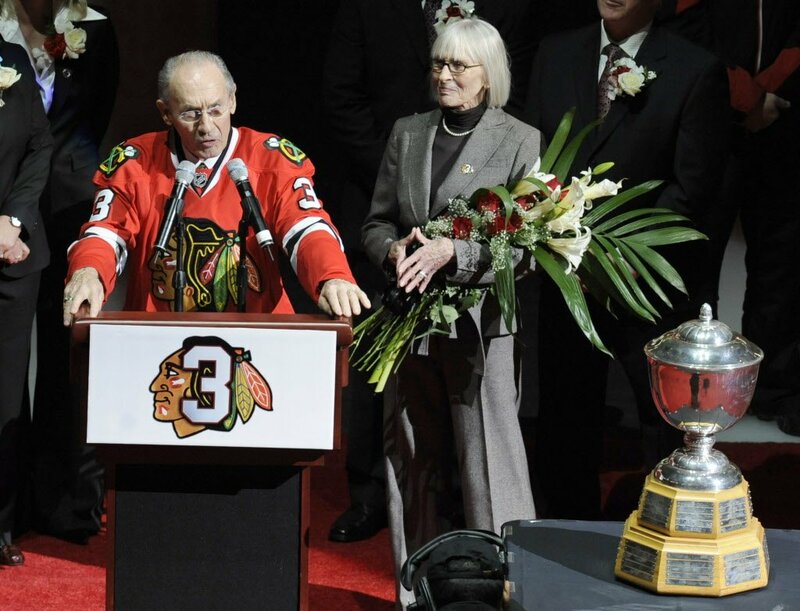 Chicago Blackhawks Legend, Pierre Pilote, Passes Away At The Age of 85. 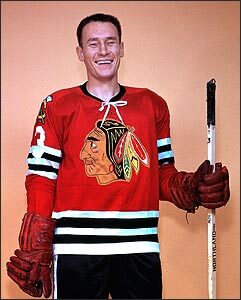 Chicago Blackhawks legend, Pierre Pilote has passed away today at the age of 85. Pilote spent 13 of his 14 year career with the Blackhawks where he was an 8-Time All-Star. He captured the Norris Trophy, for Best Defenseman in the NHL, three consecutive years (62-63', 63-63', 64-65'), and was a member of the 1961 Stanley Cup championship team. He was inducted into the Hockey Hall Of Fame in 1975. 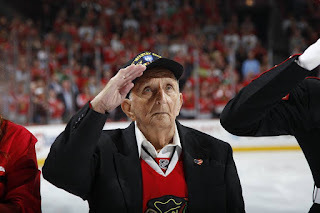 He was the Blackhawks Captain from 1961-1968, and lead by example with his leadership and toughness. He was considered an 'iron man' of the day, where he played in 376 consecutive games. In 821 career games with the Blackhawks, he scored 477 points (77G, 400A), and accumulated 1205 penalty minutes. The Blackhawks brought back Pilote and made him a Blackhawks Ambassador as one of the greats in club history. He had his #3 retired into the United Center rafters, along with Keith Magnuson in a ceremony in November, 2008.